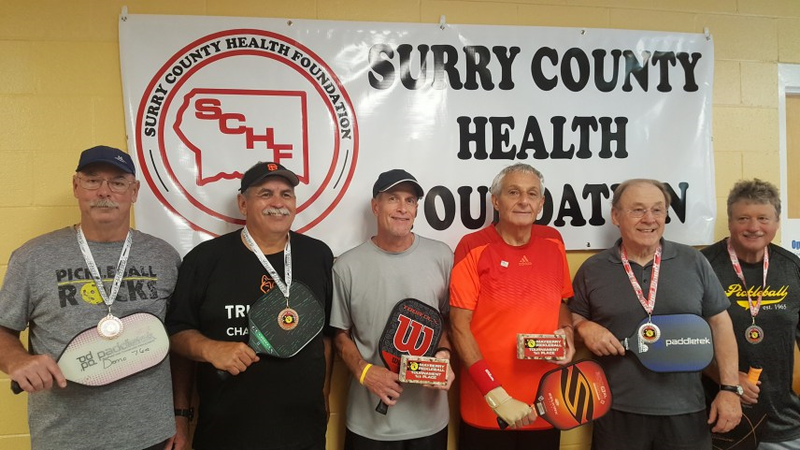 The 2nd Annual Mayberry Pickleball Tournament was held this past weekend in Mount Airy, NC. The tournament attracted 90+ players from across the state of North Carolina, Virginia, Tennessee, Georgia & South Carolina. All proceeds from the tournament benefitted the Surry County Health Foundation which funds community-health related projects.